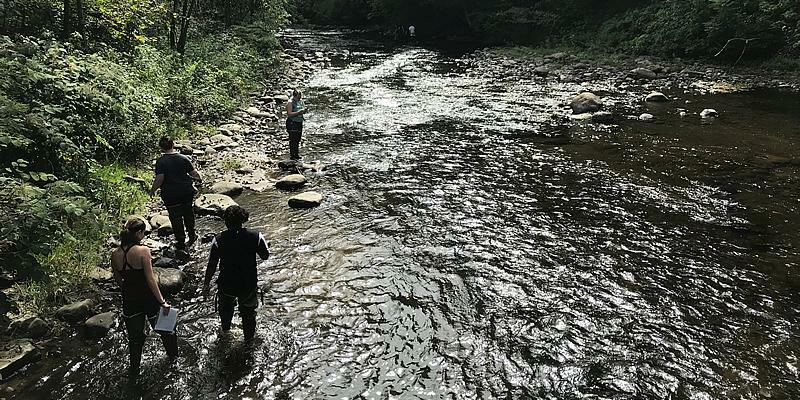 Students in BI 352 Invasion Biology map exotic species in industrial sites of the 1800s along the Kayaderosseras Creek. During the past three academic years, our faculty have published 58 peer-reviewed research papers with 27 Skidmore student co-authors. 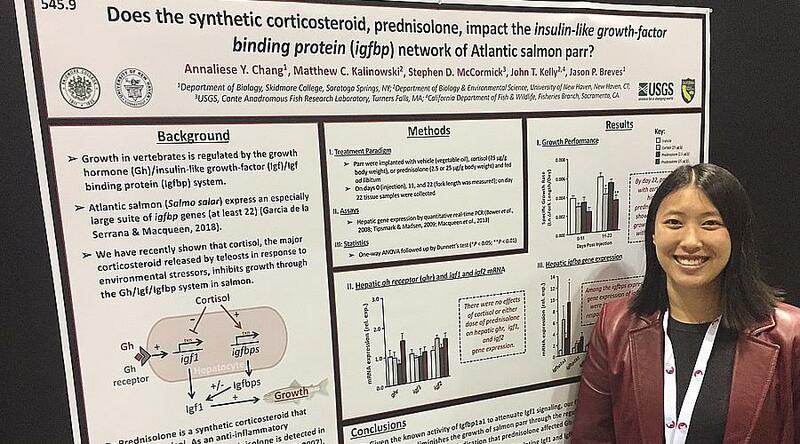 Our dynamic department emphasizes one-on-one mentoring of students by faculty in hands-on research collaborations that often result in poster presentations at professional conferences and student co-authored publications. Biologists develop and test ideas that deepen our understanding of life. In coursework and in research collaborations with our faculty, students work in our laboratories, the Skidmore Microscopy Imaging Center and our 500+ acre North Woods investigating molecular and cellular information and processes, studying the structure and function of cells and whole organisms, and exploring behavior and ecology. In consultation with a faculty advisor, students design programs of study to meet individual interests and goals. 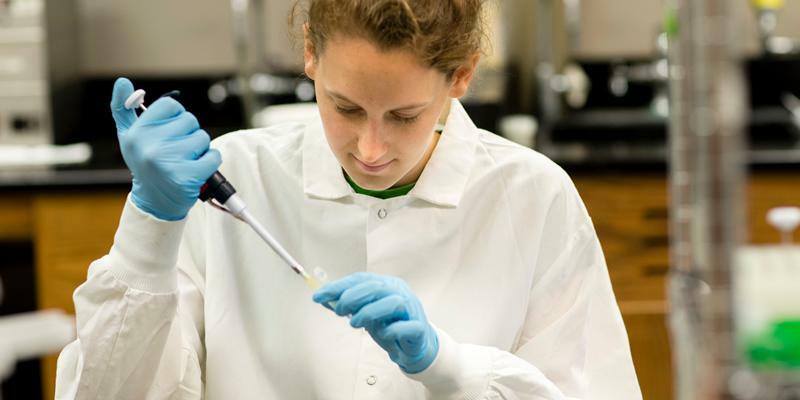 Although research is not formally required for the major, students are encouraged to pursue collaborative research during the academic year and summer. 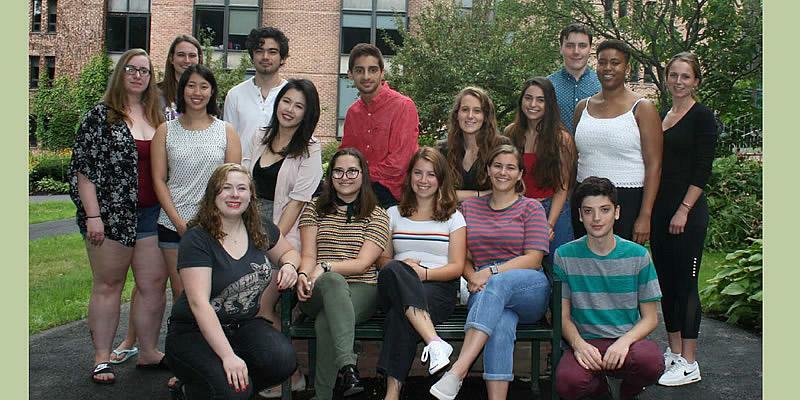 In the last ten years, Skidmore students have appeared as coauthors on more than 25 manuscripts published in international journals and they have presented their work at both regional and national meetings. Graduates of our program and research laboratories can be found in medical schools and doctoral programs across the country, including: Tufts University, Cornell University, UC—Davis, and Harvard University.